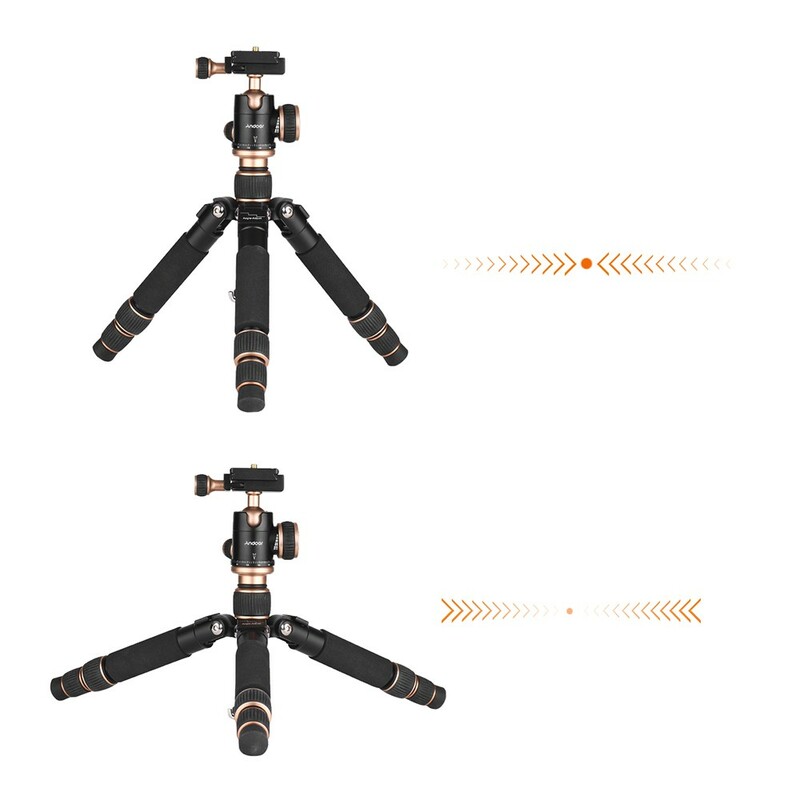 Andoer aluminum alloy mini tripod is strong and powerful. 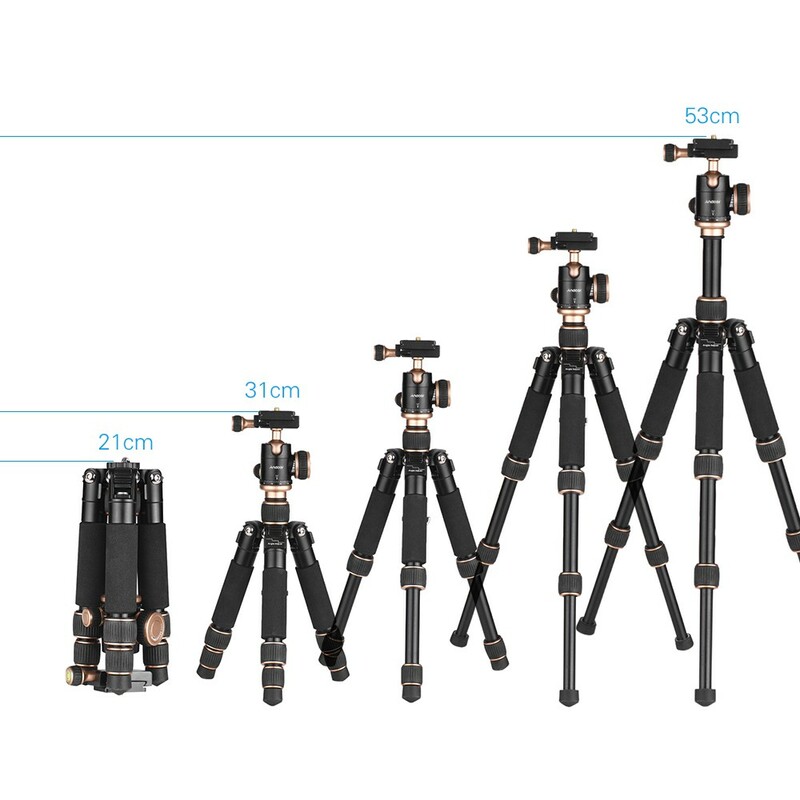 Its maximum height can reach 53cm, but its folding height is 21cm and weight 700g only. 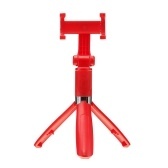 Super portable! 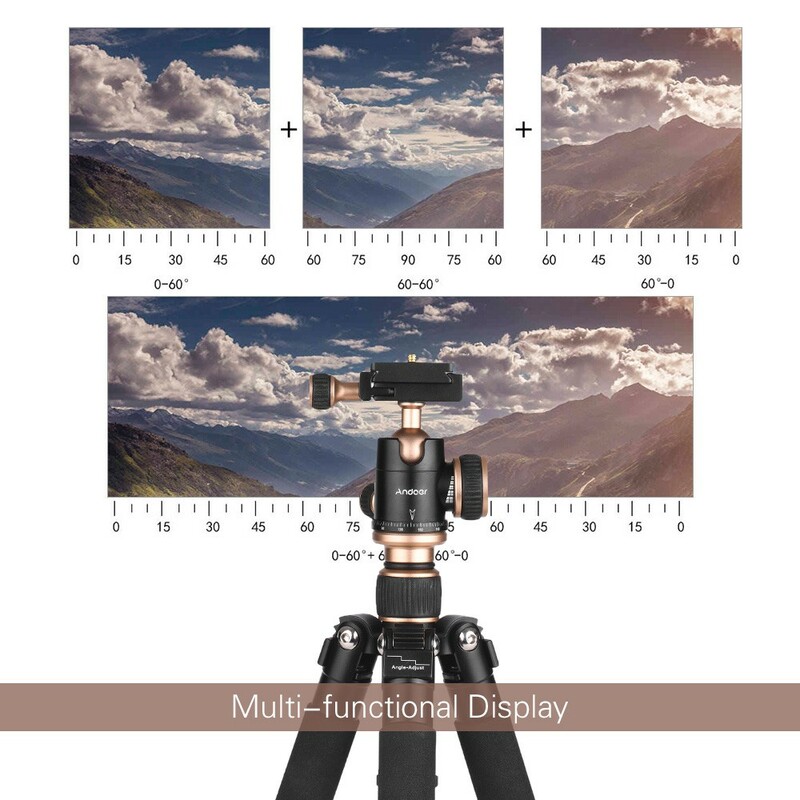 You can use it for low angle/high angle/macro/panoramic photography and stable video shooting. 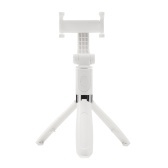 Sent with an aluminum alloy phone tripod mount with cold shoe adapter. 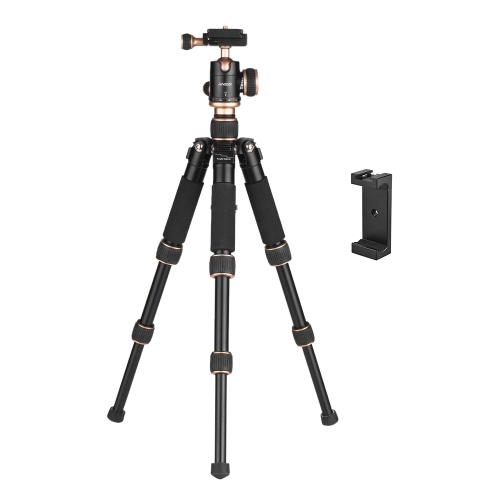 Portable and lightweight tripod, height adjustable from 31-53cm, folding length only 21cm. 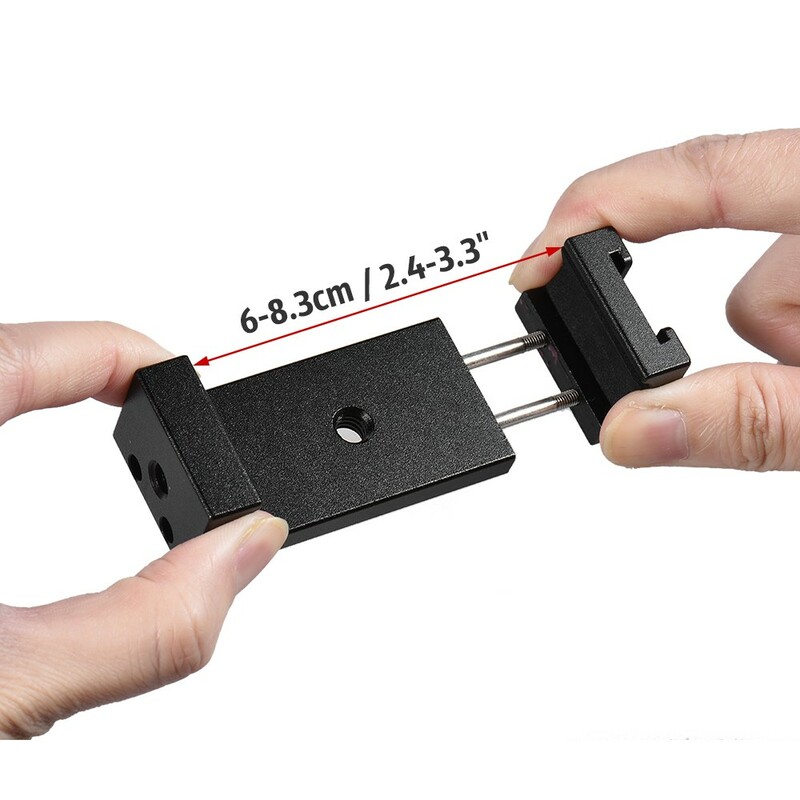 Quick release plate with 1/4" screw, suitable for different cameras. 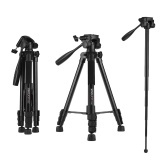 Strong aluminum alloy body can bear up to 3kg load; the tripod weigh only 700g. 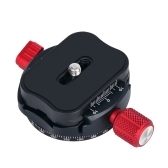 The rotary ball head enable you to adjust shooting angle easily. 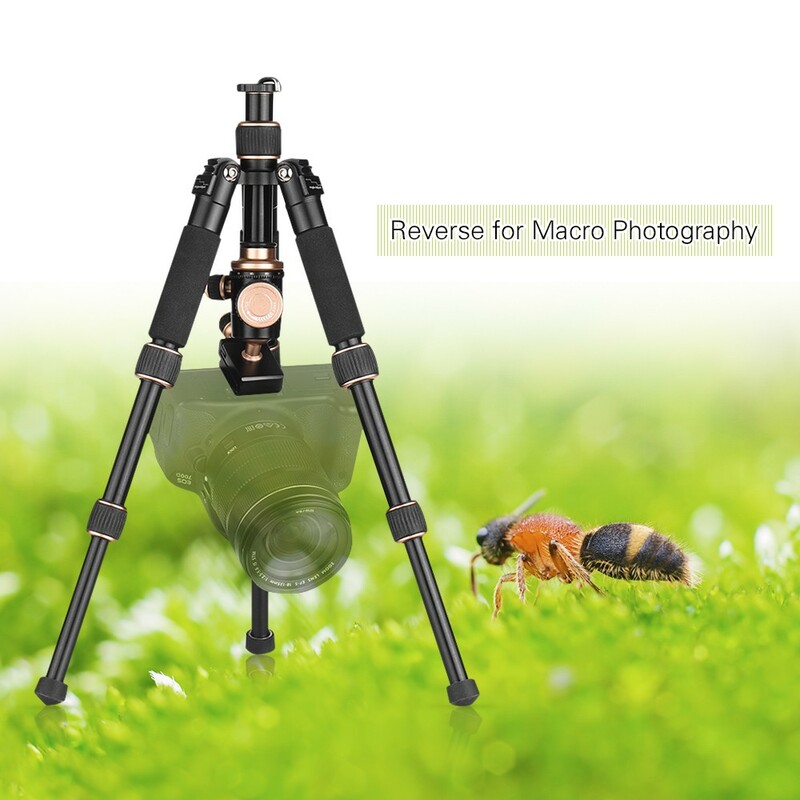 The center column can be reverse for macro photography. 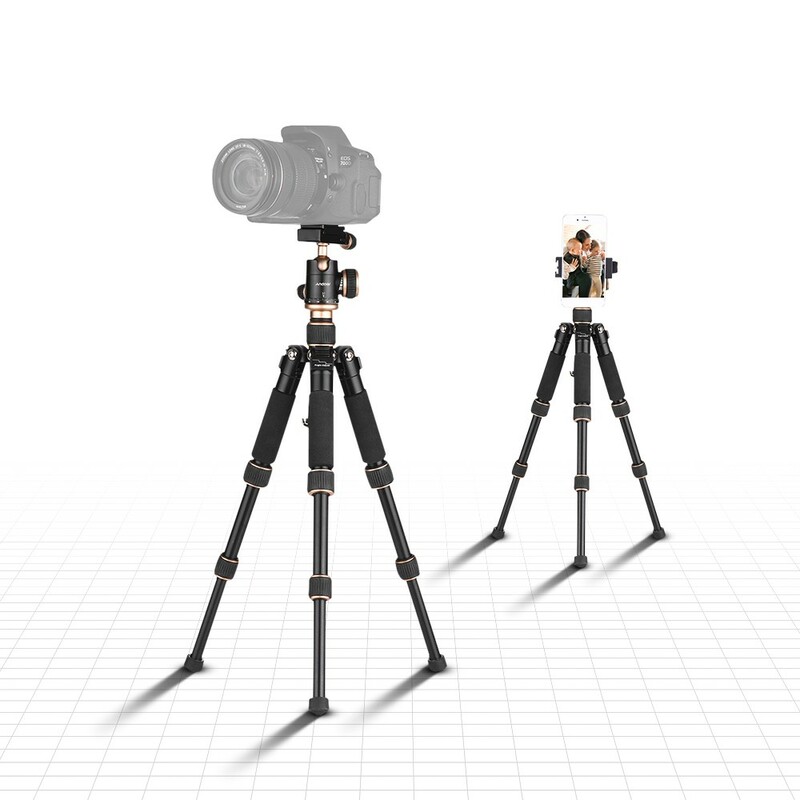 3 adjustable leg angle levels. Sent with an aluminum alloy phone tripod mount with cold shoe adapter. 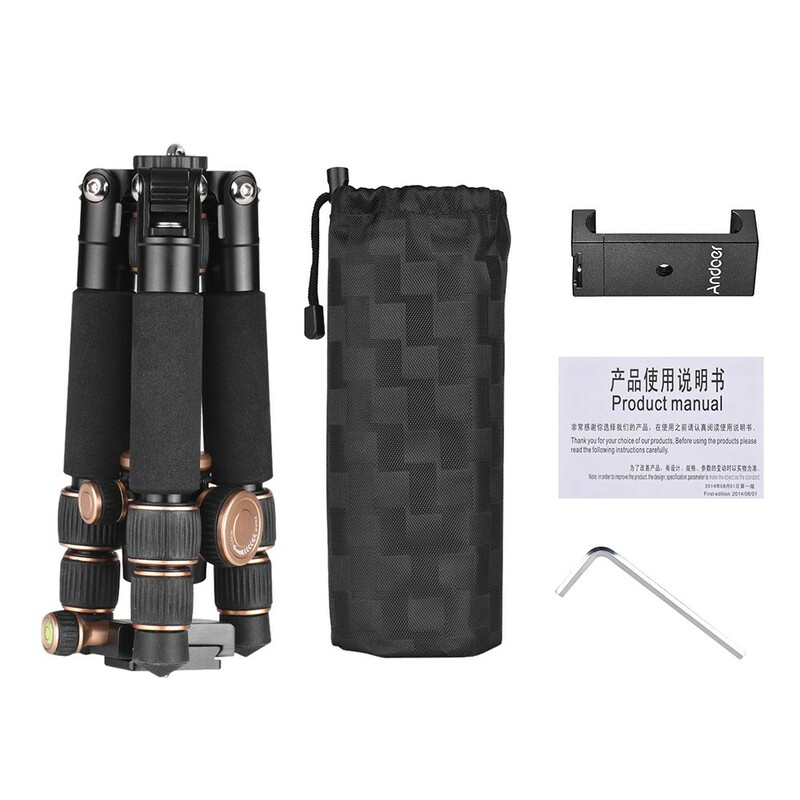 Quick Release Plate Size: 4 * 3cm / 1.5 * 1.1"
Ball Head Height: 8cm / 3.1"
Height Range: 31-53cm / 12-21"
Folding Length: 21cm / 8.3"
Opening Distance: 6 - 8.3cm / 2.4 - 3.3"
Item Size: 7.5 * 3 * 2.2cm / 3 * 1.2 * 0.9"
Package Size: 7.8 * 3.3 * 2.4cm / 3.1 * 1.3 * 0.9"
Camera and smartphone are not included.